UNIX Commands Video Guide is for the starters to push towards the black screen to understand how basically we need to work with command line tool or CLI. More sophisticated the backend will be, more complex the backend setup will; more complicated will be setup and this commands are the only ways to administer a UNIX system. UNIX Commands do not mean its for UNIX only, actually it covers the UNIX Like OS including Linux, Free BSD etc. grep command – Reference used in the video. Console2 Customization and UNIX Functions – To get some UNIX functions in Windows PC. This is the first episode of the UNIX Commands Video Guide series. We will try to show specific example usages so that you can catch up with the required knowledge of running SSH easily to administer, install server softwares. Actually we use this same application to login to the remote computer as root user. Probably you have understood the importance of learning UNIX Commands now – we have shown the examples on our MacBook Pro, functions which we can do with Finder App. But, for a remote Linux server, it is normal to use the command line tool. 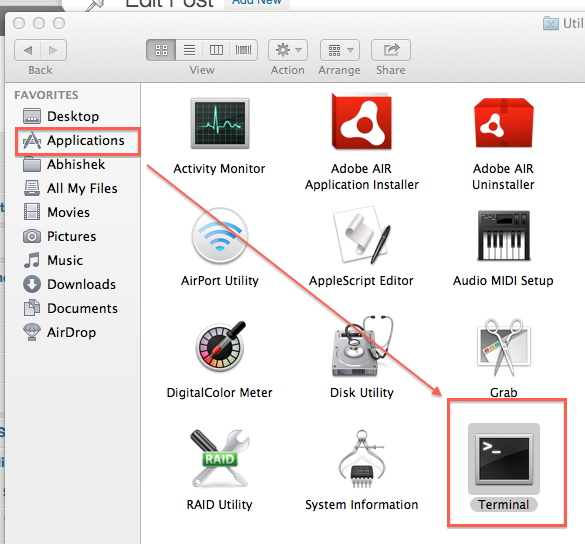 Second thing is that, you actually can not do everything with Finder. In either OS X or Linux, there are file restrictions. You can not open many system files, in fact in case of Linux, there is no way to open or modify them except using the command line tool. This Article Has Been Shared 2015 Times! Cite this article as: Abhishek Ghosh, "UNIX Commands Video Guide to Get Started," in The Customize Windows, May 24, 2013, April 23, 2019, https://thecustomizewindows.com/2013/05/unix-commands-video-guide-to-get-started/.